When you go home late you can turn on the the light in your house in advance to give you a safe and warm environment, when it successfully matches for Amazon Alexa Echo or Google Assistant, you can voice control switching power supply for the elderly and children convenient to use. 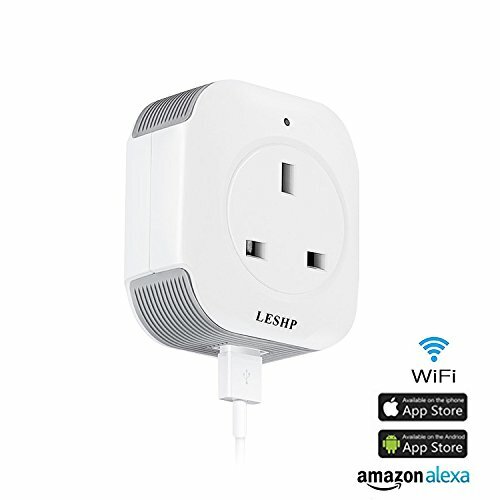 The smart socket can be wirelessly controlled by smart phones anywhere, save energy and safely manage household appliances. You can turn on the electric water heater in advance so you have a comfortable hot bath, and you can also control the fan, lamp, Air conditioning, rice cookers and other electrical equipment turn on and turn off in specified time. New upgrade version, super mini size,don't take up space, convenient to carry. Work perfectly with Alexa and Google Assistant which can be controlled by your voice after connected. You can also control this Smart Socket by a cell phone, tablet. It works with both iOS and Android systems. Any problem with our products, please feel free to contact us! We will get back to you whenever you have a question. Note: At present, the smart socket only supports the router 2.4GHz wireless network, if your router has 2.4GHz / 5GHz dual frequency, please turn off 5G and select 2.4G.